You have hopes, dreams, and goals you want to achieve. You have aspirations of leaving a legacy of significance. You have untapped potential waiting to be unleashed. But, unfortunately, how to maximize your potential isn’t something addressed in job or skills training. And sadly, how to achieve success and find significance in life isn’t something taught in school, college, or by most parents. 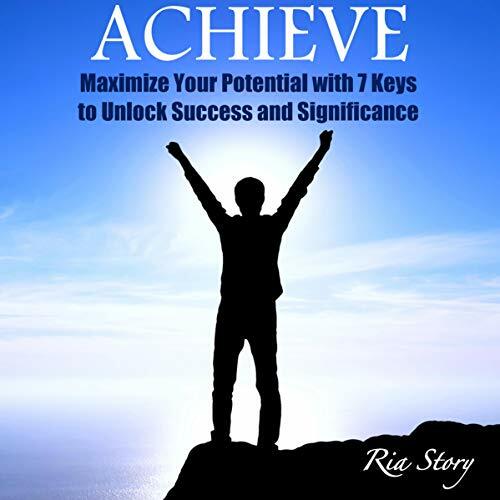 In ACHIEVE: Maximize Your Potential with 7 Keys to Unlock Success and Significance, Ria shares lessons on attitude, choices, humility, integrity, energy, vision, and excellence. Each “key” can help you become more influential, more successful, and maximize your potential in life. Each section is short, yet powerful, and provide principles on realizing your potential with actionable takeaways. These brief vignettes provide humorous, touching, or sad lessons straight from the heart that you can immediately apply to your own situation.